ProjectManager.com offers powerful management tools for team leaders to propel their teams and their projects to success. 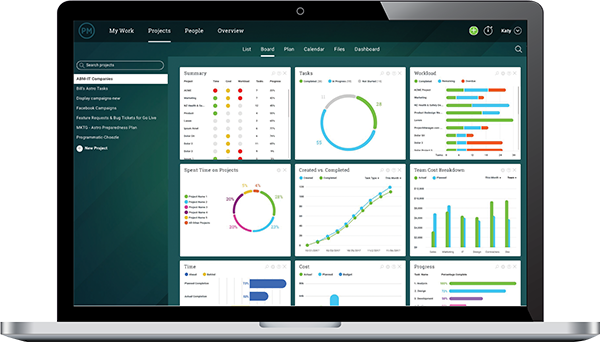 ProjectManager.com has intuitive planning, tracking, collaborating and reporting tools for managing your daily operations, your team’s workload, your client or stakeholder’s needs and the trajectory of your projects. See how by taking this free 30-day trial. Choosing which work tools to give yourself and your team is one of the most important and influential decisions you can make as a team leader. Tools influence how work is done on a day-to-day basis. When you sign up for ProjectManager.com, you get a powerful project management software that bolsters productivity and collaboration, enabling you and your team to accomplish more goals and get more done. 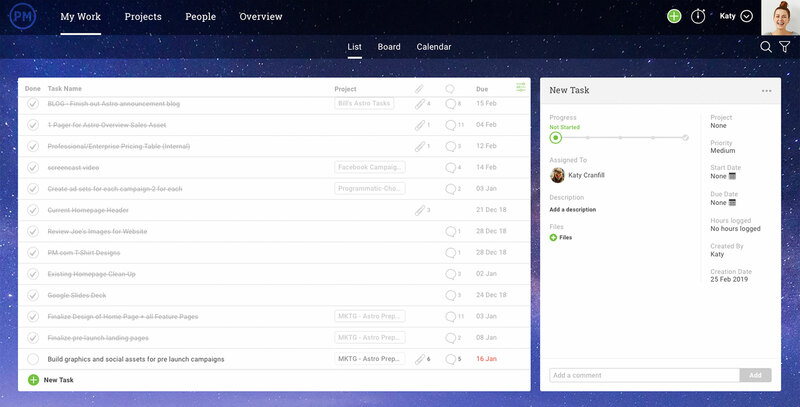 With ProjectManager.com you can assign tasks to team members, create to-do lists, track progress, collaborate, balance workload, and create reports — all with one simple online software. Coupling your well-coached and capable team with our dynamic project management software will take your team’s production to a whole new level! Create plans for yourself, your team and your projects with our highly effective planning and scheduling tools. Define deliverables and make timelines on our interactive scheduler and assign tasks right in the same view. Plans are collaborative and can be shared with anyone, so your whole team is involved right from the start. 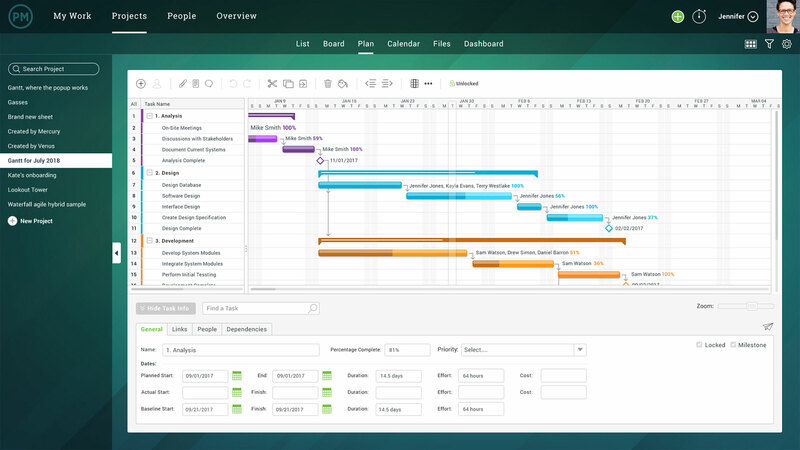 View your project plans in a Gantt chart, task list or calendar view. Get the most out of every hour of every day when you use our project management software. Use our to-do list to help you get organized and rule your daily operations. Or, assign yourself tasks so you can log your progress, attach relevant files and add notes. Use our dashboard feature to track live results on every task and project that pertains to you and your team. Got a big event coming up next week? Just setup an email notification so you don’t overlook anything important. With our task management tools, you can assign anyone on your team a task with specific instructions, file attachments and a due date. Receive email notifications as your team members complete tasks or update progress for optimal visibility. Use our workload features to distribute workload evenly across your team. It even lets you input holidays and PTO so you can manage your team’s schedule better than ever. Is one team member carrying the burden? Quickly recognize an imbalance and reassign work in one simple, color-coded view. Answer your team’s questions more quickly and more effectively than ever. Use our collaboration tools to message everyone on your team, or if you want, create group chats and project-based discussions to keep your conversations more specific. Our powerful software also integrates with your team’s email, so as important updates and files are added to tasks and projects, your team receives a notification right in their inbox. That way, everyone stays in the loop! ProjectManager.com offers more visibility than excel or an outdated desktop software ever could because we operate in the cloud, so as your team updates their tasks, the tool is constantly updating with live data. 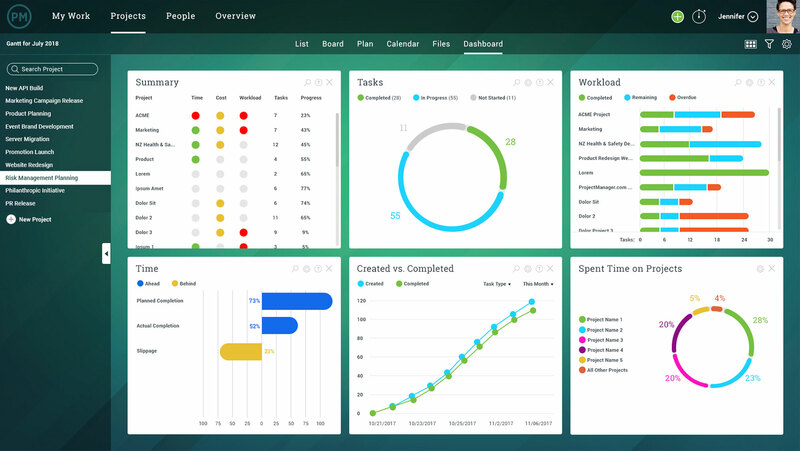 Our dashboards provide unique views into your project and team progress, giving you the knowledge you need to make informed decisions that impact your business for the better. Plus, we offer simple reporting tools for reports on tasks, timesheets and team workload that output figures in easy-to-read charts. It’s never been easier to monitor, track and report on projects to upper management. Teams in all industries rely on our software daily to power their projects, including IT teams, marketing teams and manufacturing teams, just to name a few. Learn more by visiting our industries page, or simply find out for yourself and sign up for a free 30-day trial!